199 Beacon is located on the south side of Beacon, between Berkeley and Clarendon, with 197 Beacon to the east and 285 Clarendon (201 Beacon) to the west. 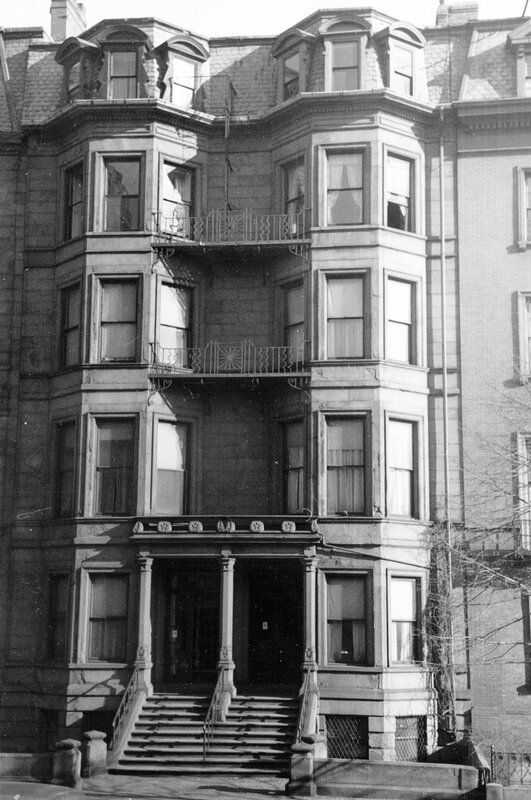 199 Beacon was built in 1866-1867, one of a symmetrical pair of houses (197-199 Beacon). 197 Beacon was built by John Fisher Farrington and 199 Beacon was built by James W. Tobey. Each builder had acquired the land for the house they built from William Carpenter, also a builder, under agreements dated June 16, 1866. In those agreements, William Carpenter agreed to sell the land for a specified price, to be paid in installments, and each builder agreed “directly to begin to build a first class house with freestone front.” William Carpenter conveyed the land for 197 Beacon to John Farrington on October 1, 1866 and to James Tobey on December 13, 1866. The land for 197-199 Beacon was part of a parcel William Carpenter had purchased on March 2, 1863, from Francis E. Parker, a lawyer. It was part of a larger parcel originally acquired from the Commonwealth of Massachusetts on May 2, 1860, by Norman Munson. Norman Munson and his partner, George Goss, were the contractors responsible for filling the Commonwealth’s Back Bay lands. Click here for an index to the deeds for 199 Beacon. On October 14, 1868, 199 Beacon was purchased from James Tobey by real estate dealer James Thomas Eldredge. He and his wife, Ellen Sophia (Williams) Eldredge, made it their home. They previously had lived at Elm Hill in Roxbury. James Eldredge died in December of 1889. 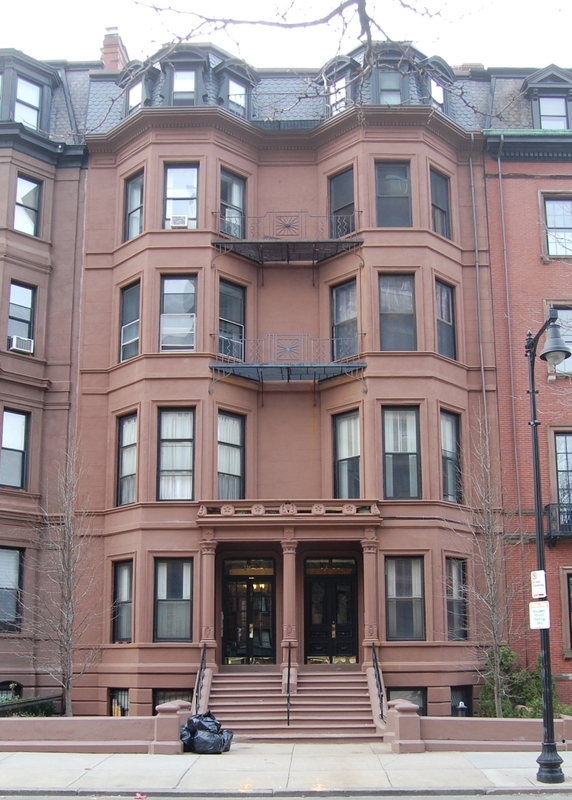 In his will, he left the bulk of his property, including 199 Beacon, in trust for the benefit of his wife and their six surviving children: Ellen Sophia Eldredge, Arthur Stuart Eldredge, Ida Prescott Bigelow Eldredge, Edward Henry Eldredge, Elizabeth Emelyn Eldredge, and Theodora Maria Eldredge. He specified that one half of each of their son’s shares was to be distributed to them two years after his death, and the other half was to be distributed to them after his wife’s death. The remaining four-sixths would be held in trust for their daughters. Ellen Eldredge continued to live at 199 Beacon with their daughters. Ida Eldredge married in June of 1893 to Franklin Quimby Brown. After their marriage, they lived in Florida, where he was president of the Florida Southern Railroad. Ellen Eldredge married in the spring of 1902 to Francisque Marius Pruden of Paris. They lived in France after their marriage. 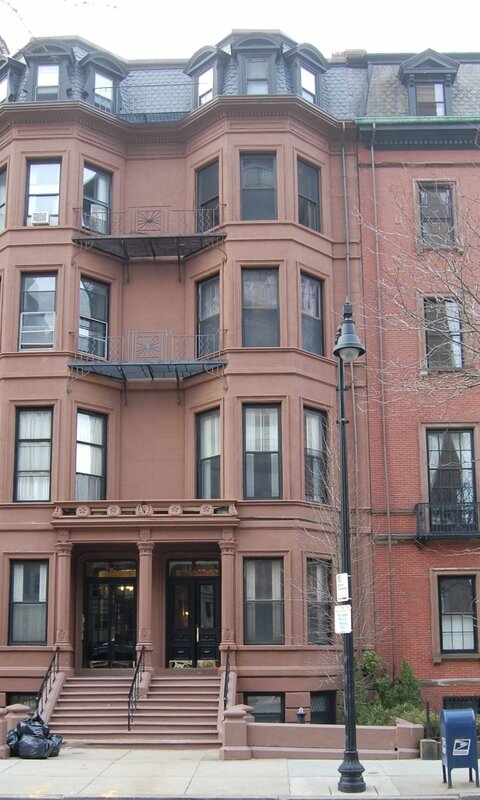 Theodora Eldredge married in December of 1905 to Harris Hooper Lawrence, a real estate dealer and trustee, and they lived at 199 Beacon with her mother and sister, Elizabeth, until about 1909, when they moved to The Stratford apartments at 31 Massachusetts Avenue. Ellen (Williams) Eldredge died in June of 1913 and Elizabeth Eldredge moved to Brookline. 199 Beacon was not listed in the 1914-1919 Blue Books. On June 19, 1919, 199 Beacon was purchased from Arthur and Edward Eldredge and the trust established under James Eldredge’s will by Paul Barron Watson, an attorney. He and his wife, Katharine Hurlburt (Clarke) Watson, lived at the Hotel Somerset. On July 1, 1919, 199 Beacon was purchased from Paul Barron Watson by Mary Emerson (Brooks) Whittemore, the wife of Dr. Wyman Whittemore, a surgeon. They previously had lived in an apartment at The Graffam at 330 Dartmouth. They also maintained a home in Dublin, New Hampshire. They continued to live at 199 Beacon (and in Dublin NH) until about 1941. On October 31, 1941, 199 Beacon was purchased from Mary Whittemore by Charles Elliot Draper, a real estate dealer. He lived with his parents, Dr. Charles Alonzo Draper, a chiropodist, and Gladys Lucie (Garrett) Draper at 57 Marlborough. They owned 197 Beacon, which they had converted into apartments in the mid-1930s. In May of 1943, Charles Elliot Draper applied for (and subsequently received) permission to convert 199 Beacon from a single-family dwelling into a lodging house. 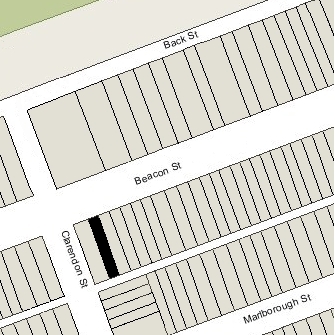 199 Beacon remained a lodging house until about 1946. when Charles Elliot Draper and his parents moved there from 57 Marlborough. Charles A. Draper died in 1963 and on April 3, 1963, Charles Elliot Draper transferred 199 Beacon into his and his mother’s names, and on the same day she transferred 197 Beacon into both their names. On February 20, 1968, Gladys Draper transferred her interest in the properties to Gregory H. Adamian as trustee for her benefit and the benefit of her son. Gladys Draper died in July of 1971. On January 31, 1972, 199 Beacon was acquired from Gregory Adamian as trustee and conservator of the property of Charles Elliot Draper by real estate broker and investor Patrick J. Glynn. In March of 1974, he purchased 197 Beacon. 199 Beacon remained a lodging house, owned by Glynn Realty Associates III, LLC, in 2015.